Take a strip down memory lane as we take ya’ll way back to where it all started.. Grumpys Pub! Its our 5 year anniversary and What a long strange strip its been! We cant wait to pull out all the stops so get your tickets and get your heart on!!! 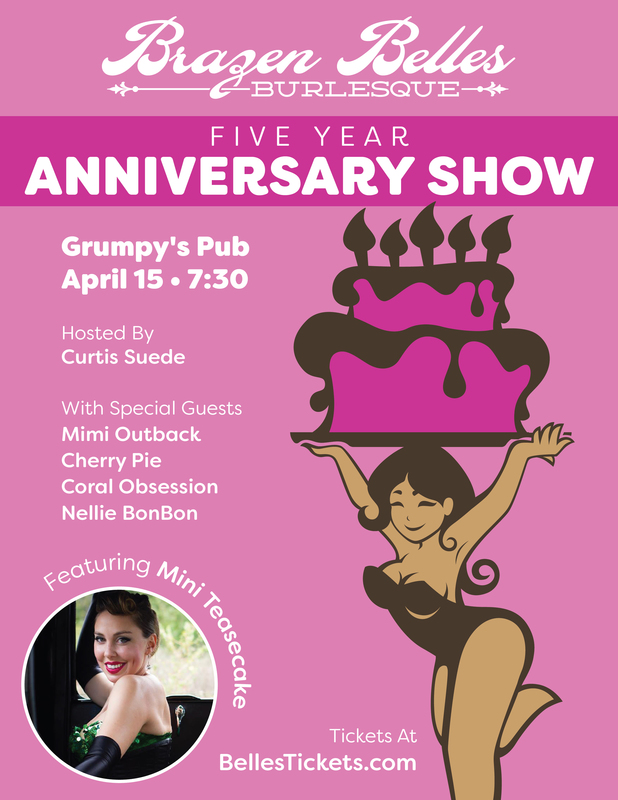 Hosted by Curtis Suede with Special Guests, original troupe members, Mimi Outback, Coral Obsession, Cherry Pie and Nellie BonBon. Featuring the insanely talented Mini Teasecake.